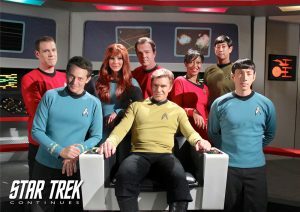 Yesterday, Star Trek Continues announced that they were selected as the 2016 WEBBY People’s Voice winner for Online Film and Video – Drama: Long Form or Series. 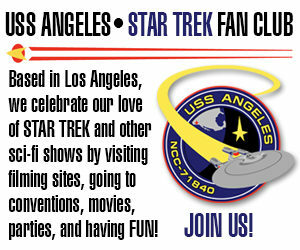 Congratulations to this prominent Star Trek fan series. The Webby Awards presents two honors in every category — The Webby Award and The Webby People’s Voice Award. Members of the International Academy of Digital Arts and Sciences (IADAS) select the Nominees for both awards in each category, as well as the Winners of The Webby Awards. In the spirit of the open Web, The Webby People’s Voice is awarded by the voting public. Each year, The Webby People’s Voice Awards garners millions of votes from all over the world. The Drama: Long Form or Series category is open to serial content dedicated to dramatic material premiered on the Internet. Entries must consist of one or more episodes over 5 minutes in total to qualify for this category. This year, in addition to Star Trek Continues and three other web series, the category also contained a nomination for NBC’s Heroes Reborn web series, Dark Matters.